Poland has vowed to detain Chechen militant envoy Akhmed Zakayev – who is on Russia’s wanted list for terrorism – if he appears in Warsaw, where the World Chechen Congress is due to be held on September 16-18. “Zakayev was put on the international wanted list and the Polish police's duty is to arrest him and hand him over to the district prosecutor's office,” spokesman for the General Prosecutor's Office Mateusz Martyniuk told Itar-Tass. After interrogation, the prosecutor’s office will appeal to the court, which should pronounce a decision on his temporary arrest, he added. The spokesman also added that Moscow will immediately be informed on the issue so that the Russian side can file for an extradition request. Despite those declarations, media reports claim Zakayev has entered Poland and is thought to be attending the international Chechen congress. Piotr Maciej Kaczynski from the Center for European Policy Studies says this it not a political issue, but a legal one. 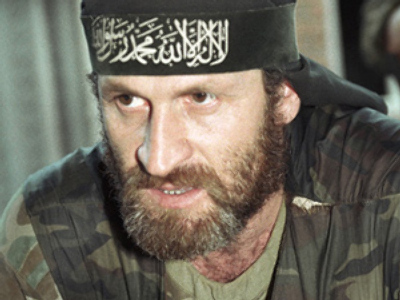 Earlier it was reported that Poland had issued an arrest warrant for Chechen militant Zakayev. However, that information was later refuted. “The Polish prosecutor's office has not issued an additional arrest warrant against Akhmed Zakayev, because there is no case against him in Poland,” Mateusz Martyniuk said, wrote RIA Novosti. 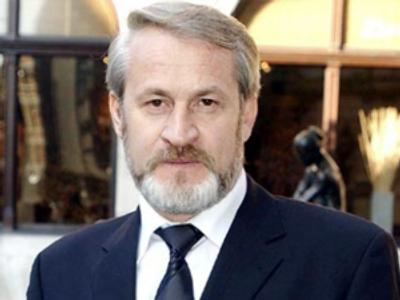 The self-proclaimed Prime Minister of “Independent Chechnya-Ichkeria”, Zakayev – who is on the wanted list in Russia on accusations of terrorism and other crimes – was granted asylum in Britain in 2002. It is expected that he might show up in the Polish capital to attend the World Chechen Congress organized by the leadership of unrecognized Ichkeria. The Warsaw Business Journal (WBJ) writes that Poland was chosen as the location for the gathering because of its alleged sympathies to those who want the Russian Republic of Chechnya to gain independence. “We chose Poland because no other country in the world is as sensitive to our misery,” Deni Teps, organizer of the congress, told Gazeta Wyborcza, cites the Journal. Moscow expressed its deep concern over the congress, saying that it is aimed at destabilizing the situation in the North Caucasus. “We warn our European partners that representatives of the so-called Republic of Ichkeria are making attempts to organising the events, which will not facilitate the normalisation of the situation in the North Caucasus. Their events are aimed at causing a stir to the situation in this region,” Russian Foreign Minister Sergey Lavrov said on Wednesday, writes Itar-Tass agency. The official stated that Moscow has information that persons who are on the Interpol’s wanted list were going to take part in the meeting. “We hope that our Polish partners will bear full responsibility for taking into account these aspects,” Lavrov said. The Russian ambassador to Poland Aleksander Alekseyev dubbed the forum an “extremely dangerous business” and added that Moscow has very negative attitude towards such events, WBJ reported. John Laughland from the Institute of Democracy and Cooperation says that if Zakayev were detained it would be an “enormous breakthrough for Russia” in the fight against terrorism, as well as its relations with Western neighbors. Political analyst Aleksandr Selivanov says Poland's promise to issue the warrant is “positive” for Russia, but is unlikely to lead to Zakayev’s arrest. 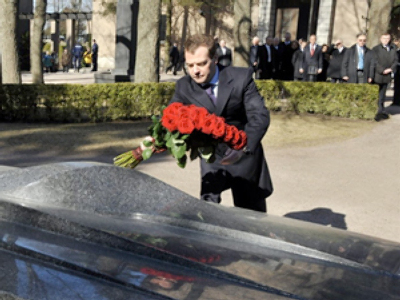 Zakayev worked as a culture minister and deputy prime minister in the Chechen government in the late 1990s. He fled to Great Britain after Chechen militants were defeated. Russia issued an arrest warrant for the militant in 2001 and sought his extradition on charges of terrorism, but the UK has repeatedly refused the request.